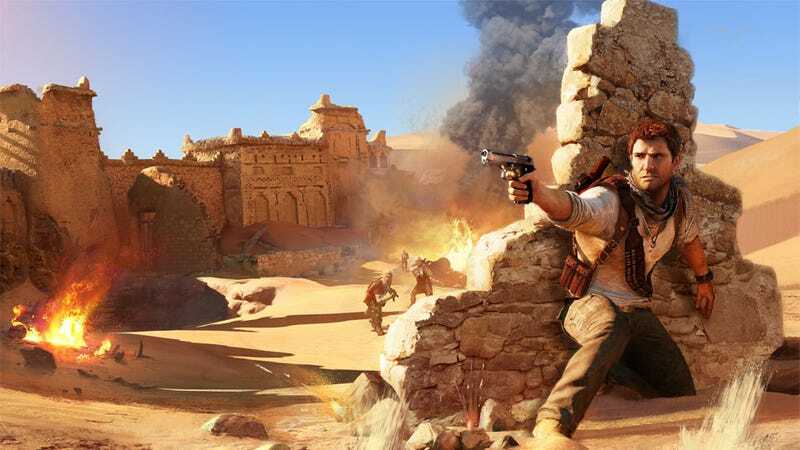 Now that people are playing Uncharted 3, people are finding that the game's guns don't quite work the way they used to. Leading many to head to forums with complaints. In response to these issues, which concern both how you aim and how your gunfire is represented on-screen, developers Naughty Dog have issued more than a "no comment". They've issued a full-blown technical rundown on Uncharted 3's shooting mechanics, detailing that the system isn't broken, it's just different. Guns now have more recoil, targeting has changed, enemies move differently and some weapons now have altered accuracy. If you've got the game already and are finding things a little changed, you can read the specifics on the game's alterations at the link below.